First up: The aforementioned Jeff Goldblum show—working title: The Curiosity Of Jeff Goldblum—which has just been green-lit at Nat Geo. 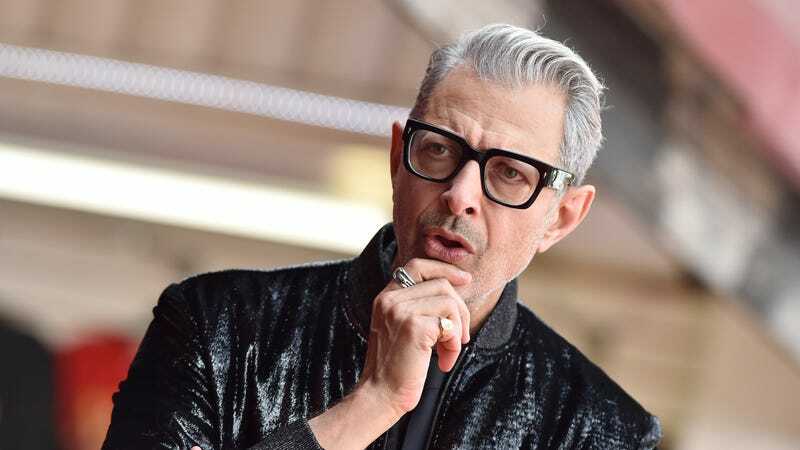 Given that Goldblum already appears to exist in a permanent state of “Hmm, yes, fascinating,” we have to assume this new series (which will see him investigate the joys of common day phenomena like baseball and making toilet paper) falls securely under the “get paid to do what you love” rubric for human happiness. THR reports that Legenday is now partnering with Warner Bros. for U.S. distribution on its upcoming live-action Pokémon movie, Detective Pikachu. The film stars Ryan Reynolds as a sarcastic lightning rat who solves crimes in a Sherlock Holmes hat, a synopsis we continue to be entirely down with. Newly minted Oscar winner Gary Oldman has lined up his next gig, with Variety noting that he’s about to co-star in Amy Adams’ new movie, The Woman In The Window. Adams stars as a reclusive author who ends up Rear Window-ing herself into some neighbors’ lives; Oldman will play the father of the family whose dark secrets Adams’ peeping-on reveals. Apple has tapped some big-name acting talent to appear opposite Jason Momoa in its upcoming drama See, with Deadline reporting that Alfre Woodard will co-star in the show. Most recently known for her work on Netflix’s Luke Cage (and also a billion other things, for which she’s been showered in Emmys and other award nominations), Woodard will play “Paris, an advisor and priestess” in a world where the human race has lost its sense of sight.